Tuffy says: Azuls Roan Robin is Breeding Stock. This mare is WONDERFUL! Breeders take note! 8 of the 14 horses on her papers are blue roans. Six crosses to Joe Hancock and two to Blue Valentine. This mare is an asset to our program. My husband sold this filly as a weanling while I was at work one day. I had her marked as a keeper but in a weak moment he sold her! Well now she is back! 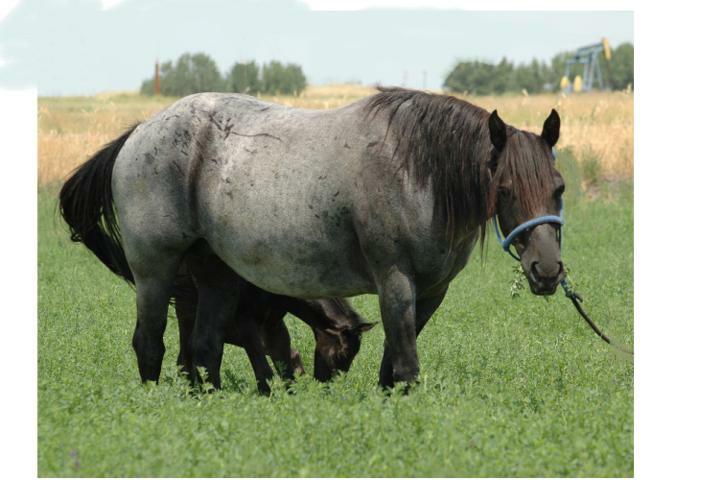 She has a terrific 2007 blue roan colt at her side by Almost Kinfolks!